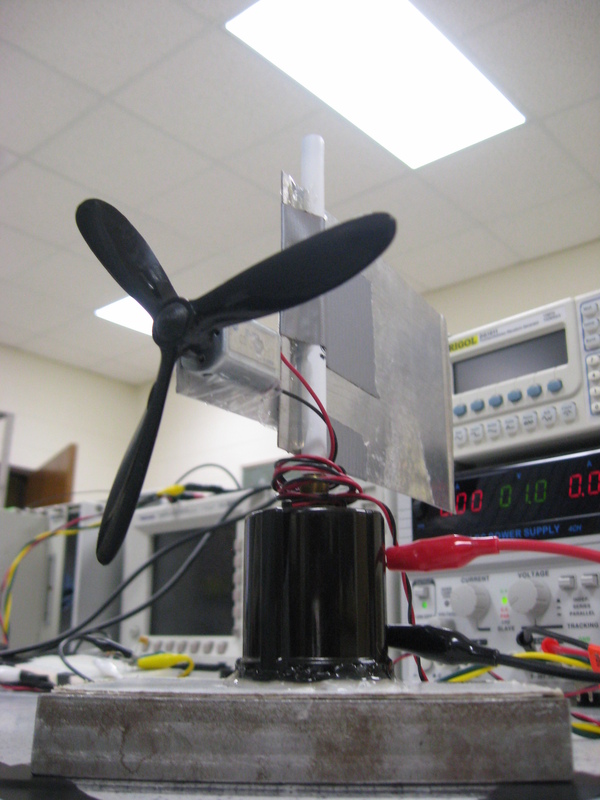 This device used a hobby propeller attached to a DC motor, mounted as a windmill on a potentiometer. The wind would cause the propeller to spin, creating a measurable voltage difference across the motor terminals. The resistance across the potentiometer indicated the direction. 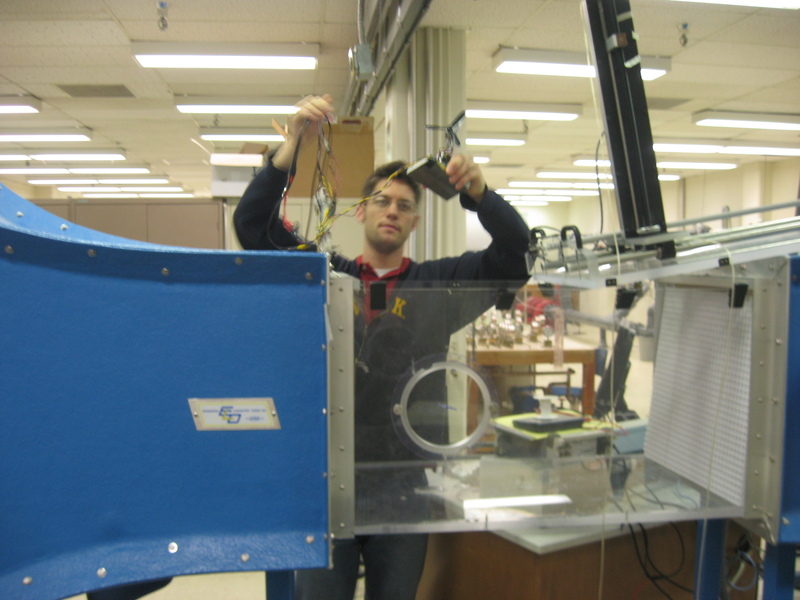 The device was calibrated and tested in a wind tunnel. ← ASME IDETC conference in August 2012.